Today's New Band To Burn One To is a very cool four piece from Sweden. These guys play a classic blues rock style with influences from Led Zeppelin, Cream and even a little Blue Cheer. You can even hear some similarities to newer bands such as Dirty Sweet and Night Horse. —the band who should not be; four personalities converging in a musical project that unites the incompatible. 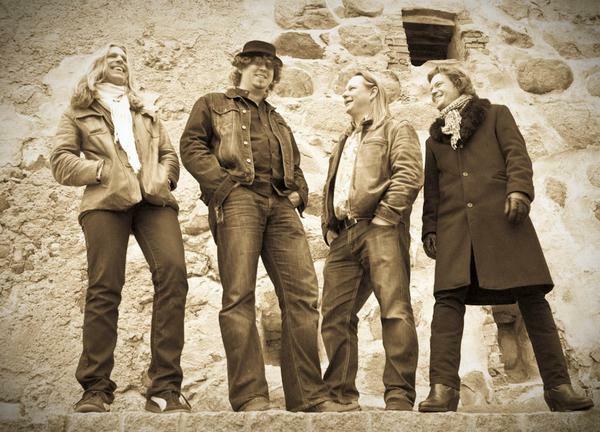 With their guitar dominated hard rock, Lemon Bird originates from blues oriented rock. But thanks to their wide musical background Lemon Bird goes the whole hog—country, folk and unusual rhythms speak a foreign language in their arsenal of rock songs. Lemon Bird's ambition is to break the boundaries and tear down the walls that genre-loving people have been building the past thirty years. The most important criteria are, in studio or on stage, creativity, energy, improvisation and a passion for their music. Despite all this, Lemon Bird never loses focus on the audience. With a large collection of material, Lemon Bird is constantly revising and re-writing their material. Often on the spur of the moment, right on stage! The motto of Lemon Bird is "We like it, let's do it!". Watching and listening to Lemon Bird, you will soon find out that one plus one plus one plus one equals five, where the magic of their music shapes the form of the fifth element. Here's a video and make sure you check out their Myspace page for two others.